Spending a lot of time around fine wines has given me a deep appreciation for the beauty and character of the vineyards. I personally developed the unique process that goes into each painting in this collection. 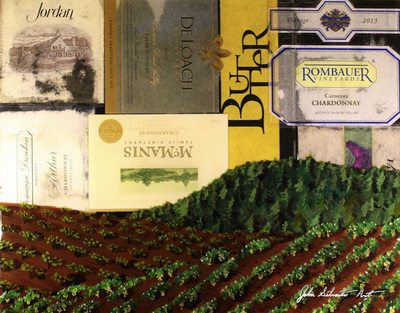 It started with a technique I learned from my grandfather to perfectly remove and preserve the wine labels. 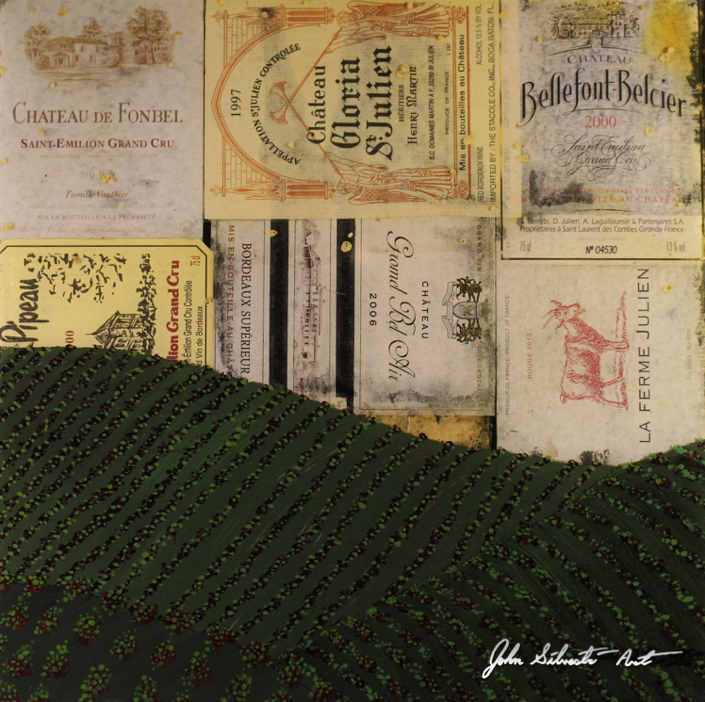 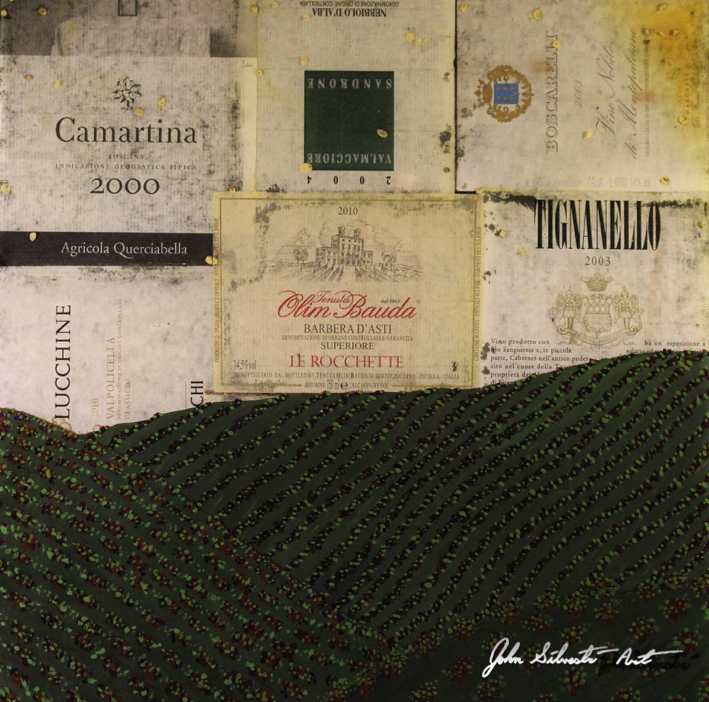 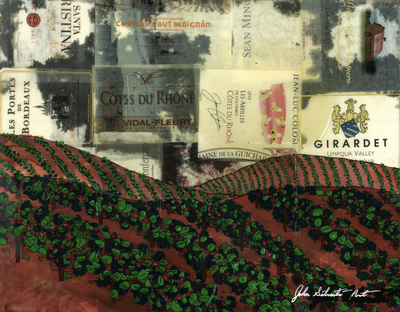 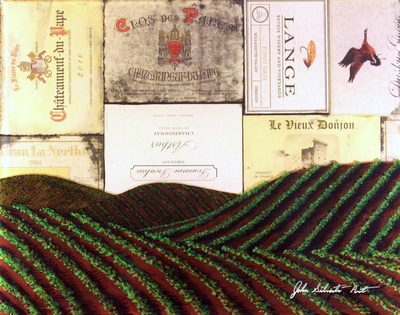 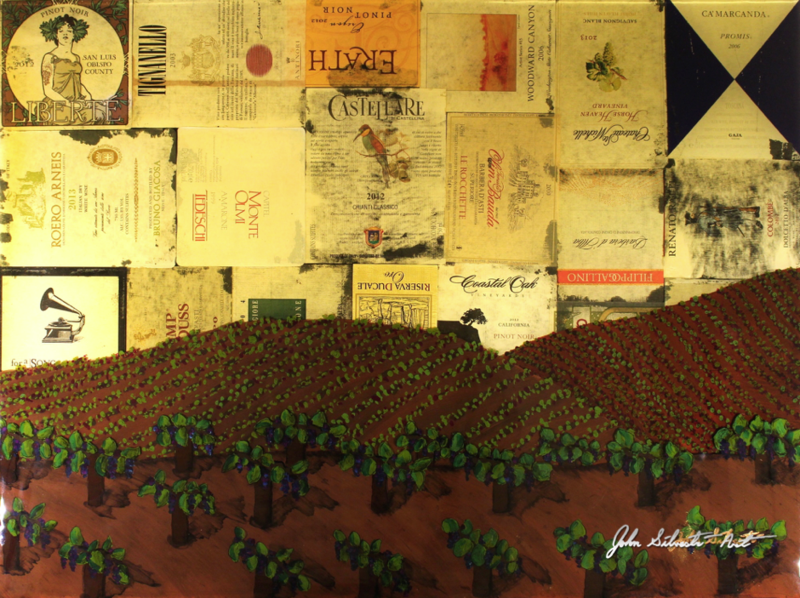 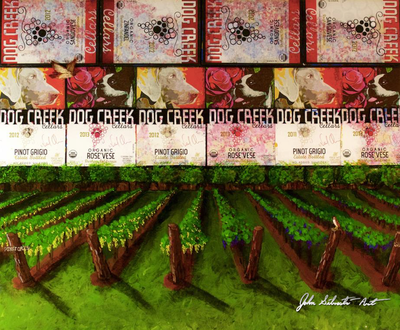 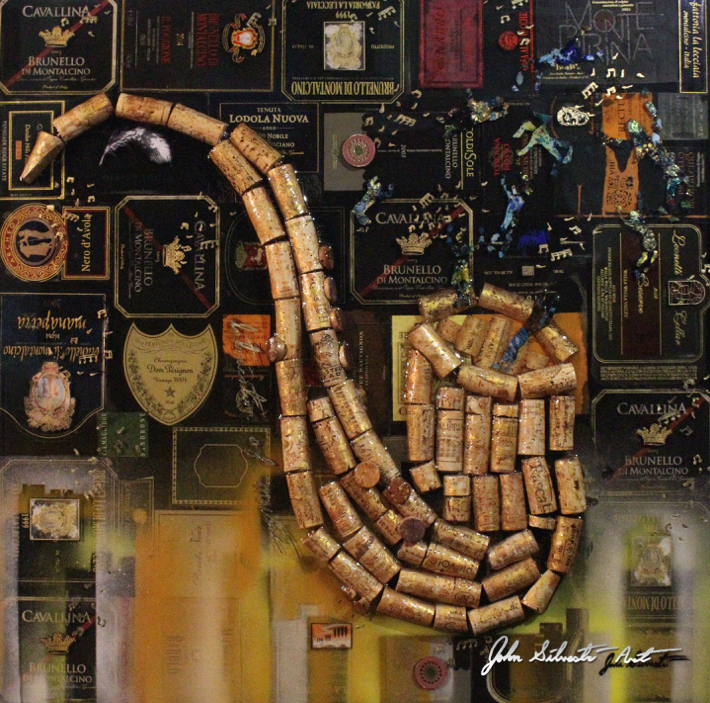 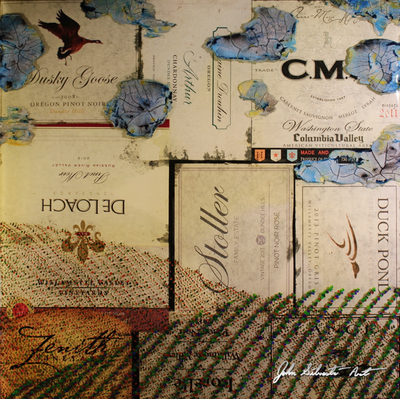 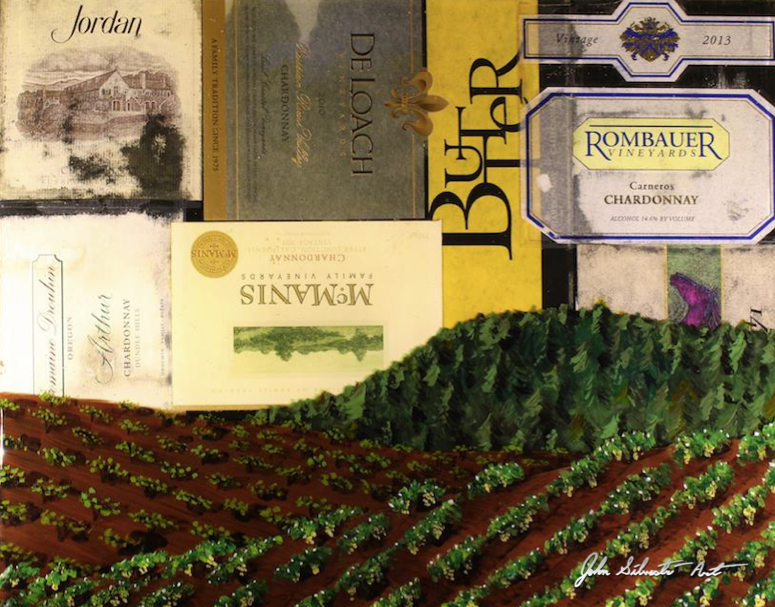 I then layer a combination of labels, resin and acrylic paint to accomplish a vivid landscape resembling actual or imagined vineyards. 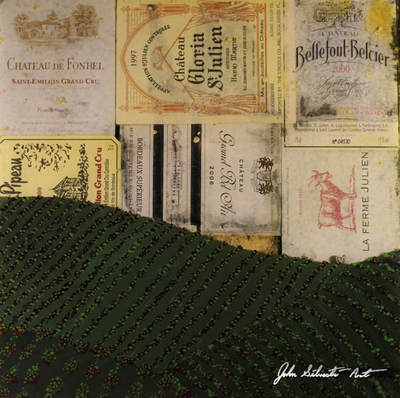 Through this process, I can combine the perceived depth of the painted image with inches of physical depth allowing me to float painted objects to create shadows that move as the viewer moves.